While I was doing the research for The Soldier's Wife, I read a wonderful book called Bride of an ANZAC, by Queenie Sunderland. 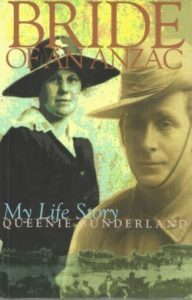 Queenie wrote it when she was 95, and lived to be 103, and she became a hero of mine after reading of her marriage to Ted while she was doing war work at Reading Station, her journey to Australia and her subsequent trials and tribulations on the very primitive bush block where Ted's family had a selection. One of the stories Queenie told jumped out at me. 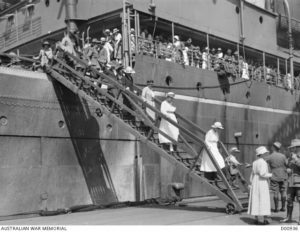 A young war bride, Margaret, was travelling to meet her husband in Sydney. She had married him in England and was very excited about meeting him again after a separation of two years. When her trunk was brought up on deck before they reached Sydney, ready for her to disembark, they discovered that her 'husband' had given her a false address - 'No 9, The Domain'. Now the only person who lives in The Domain is the NSW Governor... It was devastating for Margaret, but so common for women to be either abandoned or married bigamously that the Army had set up a hostel for them, where they could stay before they went back to England. This tragic story caught at my heart strings and I knew immediately that I had found the subject of my next book. I found out that there were many cases of bigamy and desertion during and after the war - there was one British soldier who married seven different French women! And on one day in the 1920s, a Melbourne judge heard 30 cases of bigamy! So I knew that a story of abandonment and betrayal would be an authentic representation of the period. But, also in the process of researching The Soldier's Wife, I came across an equally interesting story, about one of the last ships which brought war brides from the UK to Australia. In fact, it was the story of two ships, the SS Waimana and the SS Borda. 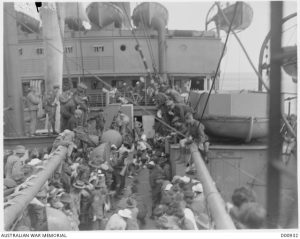 The Waimana had been a troop ship during the war, and had supposedly been renovated up to second class passenger level before the women and some of their NCO husbands went on board. 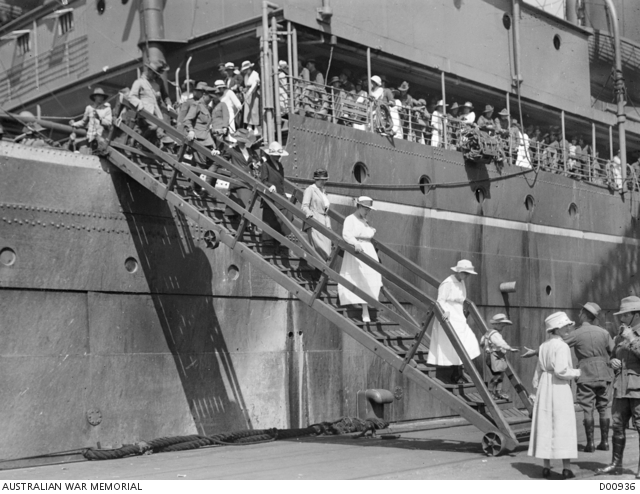 But when they boarded at Tilbury, on a rainy November day, the ship was disgustingly dirty. For three weeks they were at anchor, in the rain. They dealt with the mould, and the cockroaches, but when a rat got into a cradle and bit a baby, they revolted. 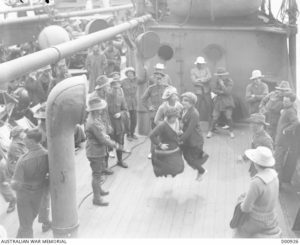 They and their husbands sent a deputation to General John Monash, who until just recently had been in charge of the Repatriation Committee. Although it wasn't his job any more, Monash managed to get them switched to another ship, the Borda. 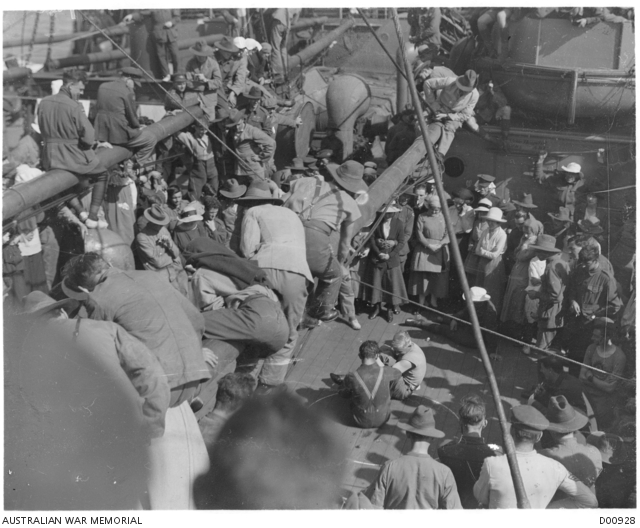 The Waimana left Tilbury six days before the Borda. Putting those two stories together, it seemed to me, would make a much better story than a simple 'woman abandoned' story. 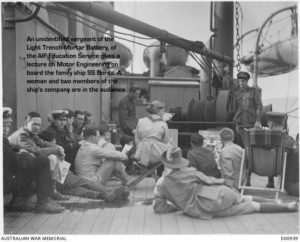 And then I found a treasure trove at the Australian War Memorial - it turned out that the Army had sent a staff photographer with the war brides on the Borda. 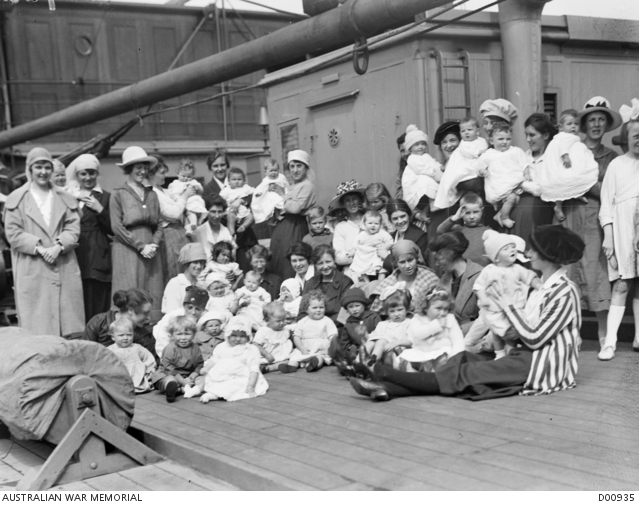 There were a whole series of wonderful images of the women and their husbands (some travelled alone, some with their husbands, some with children). Unfortunately, I couldn't use any of the details except in the very beginning of the book, as Margaret's story really starts only as she arrives in Australia. But I can share some of them with you here! The skipping one is my favourite!.